I received these shirts for review purposes. I was not compensated and the opinions are 100% mine. Looking for a unique apparel idea to give on Father’s Day? Check out Redbubble.com, where over 250,000 artists are selling really cool and unique works of art printed on American Apparel t-shirts and hoodies. Is your dad a super hero? Is he a iPad-obesssed, tech nerd? Is he the world’s greatest dad? Every week, over 10,000 new designs are uploaded to Redbubble so you’ll be sure to find something that he will love. Unlike other similar sites, Redbubble guarantees quality. All of the designs available on Redbubble are printed on American Apparel basics that will last a lifetime. Beyond the t-shirts, Redbubble also offers custom printing on iPhone and iPad cases. My husband loves the shirts we received from Redbubble! 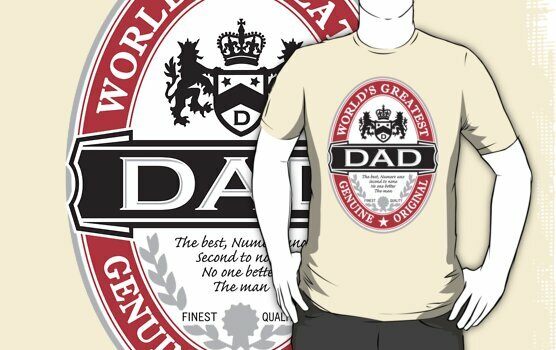 The World's Greatest Dad shirt was a perfect gift for Father's Day! If you want to get your Dad something special for Father’s Day this is it. You won’t find this (beer label inspired) shirt anywhere. Let your father know he is a genuine original. Cheers! This shirt was really comfortable and my husband LOVES to wear this shirt! I was also really excited to give my husband this Anchorman shirt from Redbubble because he is a HUGE Anchorman fan! 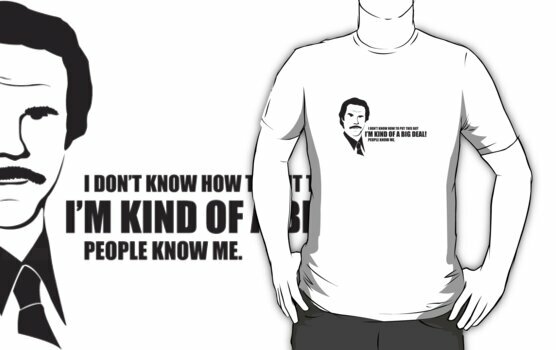 This shirt features Ron Burgundy from the popular comedy film “Anchorman” at his finest and an original illustration of Ron himself, and one of his best quotes. I love that Redbubble lets you customize any shirt to what color, type of shirt and whether you want a front or back front. That way you get a unique and customized shirt made perfectly for the recipient!